We’ve been doing a lot of blogging around here lately about NCCM and the importance of having an automated configuration and change management system. We’ve even published a Best practices guide for NCCM. One of the main points in any NCCM system is having consistent and accurate configuration backups of all of your “key” devices. When I ask Network Managers to name their key devices, they generally start with WAN / Internet routers and Firewalls. This makes sense of course because, in a modern large-scale network, connectivity (WAN / Internet routers) & security (Firewalls) tend to get most of the attention. However, we think that it’s important not to overlook core and access switching layers. After all, without that “front line” connectivity – the internal user cannot get out to the WAN/Internet in the first place. LAN switches tend to be some of the most utilized devices in a network. They also don’t generally come with the top quality hardware and redundant power supplies that core devices have. In many cases, they may also be located on less than pristine locations. Dirty manufacturing floors, dormitory closets, remote office kitchens – I have seen access switches in all of these places. When you combine a heavy workload with tough conditions and less expensive part, you have a recipe for devices that will fail at a higher rate. So, when that time comes to replace / upgrade a switch, having its configuration backed up and a system which can automate the provisioning of the new system can be a real time and workload saver. Just put the IP address and some basic management information on the new device and the NCCM tool should be able to take off the rest in mere minutes. As the front line connectivity device for the majority of LAN users, the switch is the best place to track down user connections. You may want to know where a particular user is located, or maybe you are trying to troubleshoot an application performance issue; no matter what the cause, it’s important to have that connectivity data available to the IT department. 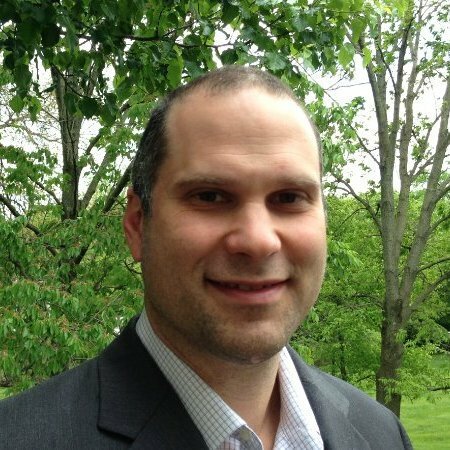 NCCM systems may use layer 2 management data from CDP/LLDP as well as other techniques to gather this information. A good system will allow you to search for a particular IP/MAC/DNS and return connectivity information like which device/port it is connected to as well as when it was first and last seen on that port. This data can also be used to draw live topology maps which offer a great visualization of the network. Another area where the focus tends to be on “gateway” devices such as WAN routers and firewalls is policy checking. While those devices certainly should have lots of attention paid to them, especially in the area of security policies, we believe that it’s equally as important not to neglect the access layer when it comes to compliance. In general terms, there are two aspects of policy checking which need to be addressed on these devices: QoS policies and regulatory compliance policies. The vast majority of VoIP and Video systems will connect to the network via a traditional LAN switch. These switches, therefore, must have the correct VLAN and QoS configurations in order to accurately forward the traffic in the appropriate manner so that Quality of Service is maintained. If your organization is subject to regulatory compliance standards such as PCI, HIPAA etc then these regulations are applicable to all devices and systems that are connected to or pass sensitive data. In both of these cases, it is incredibly important to ensure policy compliance on all of your devices, even the ones on the “edge” of your network. Especially in larger and more spread out organizations, just understanding what you have can be a challenge. At some point (and always when you are least prepared for it) you will get the “What do we have?” question from a manager. An NCCM system is exactly the right tool to use to answer this question. Even though NCCM is generally considered to be the tool for change – it is equally the tool for information. Only devices that are well documented can be managed and that documentation is best supplied through the use of an automated inventory discovery system. Likewise, when it is time for a technology refresh, or even the build out of a new location or network, understanding the current state of the existing network is the first step towards building an effective plan for the future. Whether you are a large IT shop or a service provider – new applications and services are always coming. In many cases, that will require widespread changes to the infrastructure. The change may be small or larger, but if it needs to be implemented on a number of systems at the same time, it will require coordination and automation to get it done efficiently and successfully. In some instances, this will only require changes to the core, but in many cases it will also require changes to the switch infrastructure as well. This is what NCCM tools were designed to do and there is no reason that you should be handcuffed in your efforts to implement change just because you haven’t added all of your devices into the NCCM platform. Networks are complicated systems of many individual components spread throughout various locations with interdependencies that can be hard to comprehend without the help of network management tools. 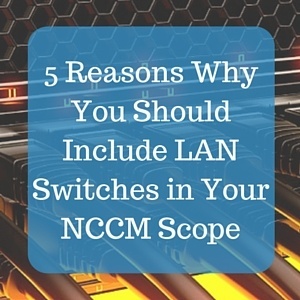 While the temptation may be to focus on the core systems, we think that it’s critical to view all parts, even the underappreciated LAN switch, as equal pieces to the puzzle and, therefore, should not be overlooked when implementing an NCCM system.